Floral and herbaceous. Very similar to lavender but with a slightly stronger aroma. COMMENTS: This is very nice lavender scent to use in Hot & Cold Process soaps, Lotions, Linen Sprays, and Bath Salts. COMMENTS: I purchased the trio of lavender EO's and love them all but I could not distinguish one from the other. COMMENTS: Smells awesome! I used this fragrance in my body butters. A sure hit with my customers! COMMENTS: Bought this Eo as lavender has a calming effect.. The smell was strong for me so just a few drops did the job, I guess this bottle will last a long way! I mixed this EO with musk FO and it turned out beautiful. COMMENTS: It is a bit stronger which helps you use less. Adding a touch of vanilla helps. COMMENTS: I love this smell. It is amazing in cold process soap and the essential oil seems to last longer than my other lavender oils. COMMENTS: This EO packs a punch. I love it. I use it without any coloring in my bath bombs and it absolutely speaks for itself. Highly recommended. COMMENTS: I purchase this ever year. It is my most requested fragrance. COMMENTS: I like to use this in hot process soaps added to my lavender fragrance oil. It adds great freshness. COMMENTS: Love it in my soaps and bath salts. COMMENTS: I am very pleased with this product. I don't have much experience with Essential Oils and this was my first Lavender type EO purchase. The EO has a very strong but pleasant aroma and it lasted through the curing phase as long as you keep the Flashpoint in mind. All of my family and friends have loved the scent. COMMENTS: I like to add this to any of my lavender scented EO or FO products to make the lavender scent really stand out. I like how strong lavandin is and it adds more of a oomph to my lavender scented products. Used with lavender EO it works like a dream! Bonus that is is not quite as expensive as good lavender EO. COMMENTS: Lavadin provides a wonderful lavender scent that sticks well in CP Soap. As with most essential oils no acceleration or ricing, well behaved. This is a great inexpensive alternative to soaping with lavender if you want the scent but not the cost. "it has a strong Lavender scent"
COMMENTS: it is very strong and that is good. I used it with Goats milk MP soap base and it has a great scent. COMMENTS: This is a variety like lavender but it's like a best kept secret in my opinion. It's sharper, and instead of a calming aromatherapy effect, you'll get an uplifting one from this. I love to even just use it in my diffuser too! COMMENTS: I always keep this in stock, my customers love it! COMMENTS: Love, love, love this EO. 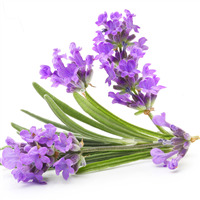 Has a true, strong lavender scent that blends well with many oils or is great on its own. I have successfully used this EO by itself and as a blend. Does not disappoint. COMMENTS: OMG I WISH I COULD AFFORD TO BUY THIS STUFF BY THE TRUCK LOAD, FOR IT IS AWESOME. I WANT TO TRY ALL OF THEM!! AND I WILL EVENTUALLY. THEY KEEP MY HOME SMELLING AWESOME AND I HAVE PETS!! 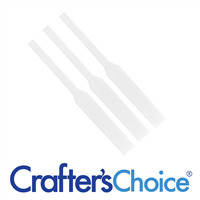 YOUR PRODUCTS ARE EASY TO USE AND ARE PACKAGED VERY THOUGHTFULLY. "A Staple in my soap cabinet..."
COMMENTS: This is the best performing lavender I have found to use in cold process soap! COMMENTS: Very nice product - lavender has so many uses, and this is a good one. "Lavandin EO - Wonderful and Robust"
COMMENTS: This EO has a terrific and robust lavender fragrance which holds well in body butter, lotion, MP, body spritzes, and solid perfumes. I continue to use this one because my customers love it. COMMENTS: this is a strong scent, a powerful lavender. I like that it is an EO i'm still determining if i'm going to lessen the amount of EO I usually put in since it is so strong. COMMENTS: I made a bath bomb using this oil, decided to test it out, wasn't sure I was EVER going to get out of the tub!! BEAUTIFUL scent!! COMMENTS: This is a very very nice oil!!!!! COMMENTS: Pleasantly surprised by the scent of this essential oil. A client commented that as soon as she smelled it, she could feel herself relax, and I agree. This was my first purchase of an essential oil from WSP and I'm now curious to try the others. Will definitely purchase again. "lovely scent to tie with other EOs"
COMMENTS: I bought this to add to my soaps that use lavender & was not disappointed! It helps to hold in the scents & blends nicely with whatever I normally use with lavender. Will definitely buy again! COMMENTS: I bought samples of all the lavender oils to compare which was the closest to actual lavender scent. Lavandin EO oil is my top choice. Absolutely lovely! Will be buying the bigger bottle when this one is empty. COMMENTS: My soap partner and I tried Lavandin to see how it compared to Lavender. The description of the product is completely accurate. It IS stronger and more medicinal than lavender 30/32. We enjoy this and will reorder, but prefer the lighter, sweeter scent of the other. No issues in any product. COMMENTS: While the fragrance doesn't smell too strong in the bottle, 2 weeks later my soap is still smelling strong-will buy again! "Lavandin EO- Certified 100% Pure 576"
COMMENTS: I love lavender but not all lavender for sale smells good. This had a really nice lavender fragrance to it. It turns out nicely in my CP soaps. COMMENTS: I use Lavendin EO to tone down the medicinal smell of Lavender 40/42. It adds a sweetness and a little more floral to the blend. I've tried several Lavendin EOs from different suppliers and this is one of the nicest. COMMENTS: LOVE this essential oil! I feel it comes through better in soaps than the regular lavender and the smell is so similar that no one can tell the difference. Slows acceleration in some tricky CP recipes I have which I love as well. I will never buy regular lavender EO again as long as this is available. COMMENTS: I think this smells more like a lavender plant than many lavender EOs. COMMENTS: Best floral lavender scent in my opinion. The pure lavender smells medicinal, but lavandin has the mild floral smell that I look for. COMMENTS: Lavadin vs Lavender EO If your looking for the wow factor that you get from good Lavender essential Oil, Don't buy this product. It really doesn't have that beautiful calming effect on either mind, body or soul. Go for the Lavender Essential Oil. COMMENTS: I thought this was not a good smell out of the bottle. I was pleasantly surprised to smell the final product just as good as the lavender. COMMENTS: This is such a delightful smell. We only use EO's in our products, and this one is delightful!! "Great blender for a Lavender scent!" COMMENTS: This is a great blender with Lavender to help out in CP. COMMENTS: Has a less medicinal scent to it, I LOVE this essential oil! COMMENTS: I made a massage oil with differents types of oils (as wholesale recommends) and this oil adds a fresh sensation. For this kind of mix, I like more lavandin EO than lavender oil because I can't smell the lavender in the mix. • It's a plus in a mix. "Just slightly different than lavender"
COMMENTS: A very overpowering scent out of bottle like most other essential oils but quite nice in soap. I personally don't like lavandin or lavander but its been a staple product for many soapers for years so i stock it. I personally think it is a lot better mixed with sweet orange essential oil or fragrance oils. A little does go a long way so even though its not my favorite scent it behaves well and lasts longer than other oils such as orange. COMMENTS: I love lavender and thought I would like it once it was in the product, but it smells awful . I am not sure what the connection is to actual lavender. Very strong and harsh smell. COMMENTS: I bought this because it is supposed to have more staying powder than regular lavender. It soaped up with no problem and I like the scent better than regular lavender. COMMENTS: Lavender is perhaps the most well known essential oil scent that there is, and this Lavandin is AMAZING! It has a strong scent, but most of my customers use essential oils already so they LOVE the strong scent. This even holds well in CP soap, as long as I add something powdery to anchor it like colloidal oatmeal or clay. I can't live without this one! COMMENTS: I used this in cold process soap and body butter. No one knew it wasn't "true" lavender. To me it smelled a bit sweeter which was nice. When I bought it the price was at a discount to real lavender so I thought I made a wise choice. I think I will stay with it from now on. "New to me, but great"
COMMENTS: I really like the lavender smell which is flowery and not too medicinal. I usually mix it with other essential oils like patchouli/orange/lemon/rosemary or tea tree when making soap. It's good with infused chamomile tea and oatmeal for fresh natural soap such as baby soap. Works great in bug repellants along with other essential oils and room sprays or even to spray on the dogs, diluted with water as it repels fleas. I've even used it mixed with vinegar as a fabric softener in the laundry which smelled fresh and clean. COMMENTS: Love this scent both OOB and in my finished product. Used it at 20g in 860g of oil (or just over 2%) and it was VERY strong! I might cut back on future batches, but I can't lie that the fragrance is wonderful - I was worried it might be artificial since it isn't lavender *per se*, but it's actually a great, wonderfully natural scent. I have a bar of soap with this fragrance in my kitchen and I just hang around my kitchen to smell it. Beautiful! Did not notice any acceleration, ricing, or discoloration. COMMENTS: I bought this as it was cheaper than lavender EO. It worked fine in soap but I found I prefer to use just lavender. COMMENTS: I use this oil in a floral blend that I make and it smells wonderful. It stays strong and mixes very well. I plan on purchasing again and finding other ways to use it. COMMENTS: Love this essential oil. I've had good luck with it "sticking" - though still faint. Hoping it might strengthen over the cure time! COMMENTS: I use this essential oil in almost everything, it seems! Sprays, lotions, scrubs, haircare, soaps, creams, lotions - and the list goes on! It is lovely alone and mixes well with other essential oils as well. It's a huge favorite with my customers and my family alike. COMMENTS: I love the smell of Lavendin EO. To me, it's much like the smell of lavender EO, but with a bit of a camphoraceous twist, making it a nice blending ingredient in my fragrances. COMMENTS: This is a great alternative to Lavender EO. I can't tell the difference in CP soap and can barely tell in other products. highly recommended for any one looking for a Lavender-like EO without the high cost of Lavender. "My customers can't get enough! " COMMENTS: I use this in everything. It's a wonderful soft, not overly floral scent. Has great holding power in my soaps, lotions, bath bombs, lotion bars, massage oils, and I recently started using it in room sprays (with the idea from the last catalog). This scent sells out first at every fall market I do - I can't keep it in stock! COMMENTS: I prefer this hybrid lavender to more typical types because the smell is much stronger and really holds up to cold process. A little goes a long way which doesn't hurt either. I've thought of trying a lavender fragrance oil, but this is too good. COMMENTS: I tried this as a less expensive alternative to lavender EO & could not be happier. It actually smells better than the lavender Eo. I have used in mp soap, shampoo bars, hair conditioner, lotion bars & body butters. Customers like it, & have had several comment that the lavender smells better than it had previously. COMMENTS: I purchased this EO because the Lavender EO I had smelled too camphorous for my liking. The Lavendin EO is wonderful. It has been in demand since I made the first batch; everyone loves it. 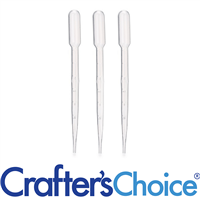 It behaves perfectly and the scent is strong and long lasting. The first batch I made was a baby soap for a friend and I used less than .5 oz per pound and it still smelled very strong and wonderful, she loved it. I will continue to use this one over Lavender. COMMENTS: This EO is excellent ~ I cant say enough good things about it! I use it in a lot of my products. 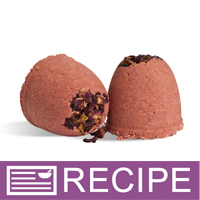 It performs perfect in my CPOP - I add some clay to it for a truly luxurious facial bar. Just lovely. COMMENTS: I purchased this EO because Lavender was on backorder, but it smells just like lavender. I won't hesitate to purchase this EO again. COMMENTS: LOVE IT! LOVE IT! LOVE IT! I don't know what the lavender eo smells like....but this smells just like the lavender botanicals!! "Should have tried this sooner"
COMMENTS: This is a good alternative to lavender EO (for me and many of my customers so far). I love the smell....it really makes a great room spray. There have been no problems with any of my products. Its a very nice silky oil with a wonderful lavender scent. The price is a bonus also. COMMENTS: I wasn't a big fan of Lavender or lavandin, but the more i smell it the more I like it. I can't tell the difference between the two hardly. It has a strong scent that has stayed with my soap so far. It didn't cause any problems at all. Nice EO. COMMENTS: You really cannot tell the difference. COMMENTS: I found this to be an excellent alternative to the more expensive 40/42 distillations of lavender. So far I haven't noticed any difference. I'll be ordering this from now on. COMMENTS: I wish I had tried Lavandin essential oil sooner! It has the beautiful floral aroma of lavender without the camphorous notes. Used in lotion, Lavandin has made a soft and lovely fragrance. Very nice product! COMMENTS: I use this E.O. in many different products. The oil itself has a silky consistency and the scent it amazing. I have not used this is soaps, however I have used it in salves, balms, massage and bath oils, scrubs and bath salts. The scent holds up well in all of those products. What can I say..I love lavender! • The price is very affordable. COMMENTS: We fell in LOVE with this the minute we opened the jar. It has a stronger, more medicinal scent than Lavender...but it is much stronger so you can spread it out a little more. I love the properties of the oil, the fact that it almost destroys odor on contact (we rented a house that had stinky carpets from a dog and it worked beautifully as a room spray) Yes, yes and YES!! Will buy again! COMMENTS: Wonderful product at a very good price. I use this essential oil in EVERYTHING cp soap, sugar scrubs, candles, bath fizzies, body sprays, linen sprays…the list goes on and on. It is one of my favorites and when I do a craft show my customers can’t get enough of it. Great price, fabulous quality! COMMENTS: This is a fabulous option for those lavender lovers and is a good value. I use it in M&P soap, shea body butter, lotion, Bug Off Repellant, bath tea/salts, scrubs, headache relief roll-on, etc. Please keep this available. "Wonderful addition to Lavender recipes"
COMMENTS: I use Lavandin in addition to Lavender E.O. in all of my recipes that are Lavender based. I find that it anchors the Lavender and adds a depth that the Lavender alone can't reach. It has been very successful and customers love my Lavender/Lavandin creations. This Lavandin EO is affordable and very pleasant. I have ordered it from WSP many times in the past several years and I am always pleased with the quality of the oil. COMMENTS: I use this is just about everything I make. My customers love. It mixes well with so many other oils. It's one of the few floral smells in my line since it's more herbal to the nose. COMMENTS: I bought this Lavandin EO along with chamomile flowers to make a shampoo bars, it is great and natural EO and made perfect shampoo bars. I mixed it with a rosemary EO and the tea tree EO for the natural benefits. "A favorite among my customers!" 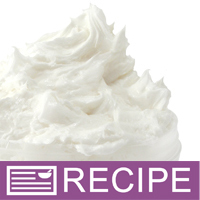 COMMENTS: We use this EO in soap, lotion, whipped butters and other personal care items. It is a wonderful lavender scent and has been so popular I dare not try a different EO. My best selling soap is scented with this and it sells out FAST. The scent maintains it's strong aroma through the cold process method and is very pleasing in lotions, butters and shampoo. COMMENTS: I will reorder this lavender when I need it again. Very nice smelling and I keep lavender on hand at all times. • PERFECT AS IS!! Thank you!! COMMENTS: I like to use this in my soaps and lotions; no medicinal scent to it! "My Favorite Lavender Scented Essential Oil"
COMMENTS: Not only is this Essential Oil my best selling natural scent, it's the biggest bang for my buck! It's 100% natural, does not have a medicinal smell, and holds up very well in cold process soap.I use it in Cold Process soap, shampoo bars, made from scratch hair conditioner, and add it to WSP's Silk & Satin hand & body lotion. Plan on expanding my line for this wonderful natural essential oil in lotion bars, massage oils, and hot oil hair treatments! Thanks for carrying a great bargain, WSP! COMMENTS: While you can't substitute this for therapeutic lavender uses, this is a fabulous choice for everything else! I'm using in both soap and body butter and it a true lavender scent, completely natural, and easier on the pocket book than lavender EO. I'm sold! 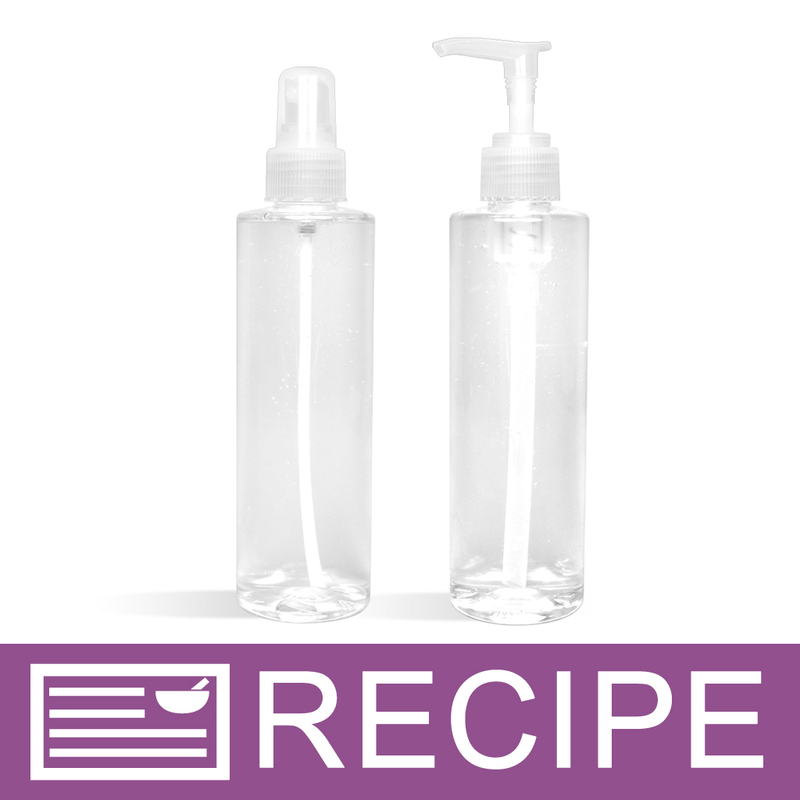 COMMENTS: This EO is a lovely lavender EO for any product as well as a great natural active ingredient for bug spray or pet shampoo! COMMENTS: In my opinion, this holds up better in soap and packs more punch than true lavender. Don't overlook it just because it's cheaper to produce. 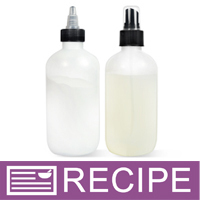 COMMENTS: I made up a batch of my normal Lavender fabric spray with this oil because Lavandin Hybrid Oil is thought to kill dust mites and their eggs. The smell is a little bitter compared to lavender but the results are amazing. I noticed a decrease in dust within a week. I sprayed this on my furniture, carpets, curtains, and bedding. Basicly anything that was fabric. Find a good linen spray recipe and try for yourself. "I added lavendin instead of lavender to my lavender soap. Do I have to change the lavender essential oil to lavendin essential on the lable? Thanks." Staff Answer Yes, if you used Lavendin EO then that should be what is on your label. "Hi, would this essential oil be good to use in a bug repellent candle? Thanks!" Staff Answer All of our fragrance oils are suitable for use in candles. Please check with the wax manufacturer for usage guidelines. We have not tested this product in a candle or otherwise for it's effective for repelling insects. "What is the difference (smell wise) between lavindin essential oil versus the standard lavender 40/42?" Staff Answer The Lavandin smells almost identical to Lavender essential oil. We often recommend this as a substitute if the Lavender is out of stock. "How is lavandin different from lavender?" Staff Answer Lavandin has the plant name of Lavandula Hybrida. 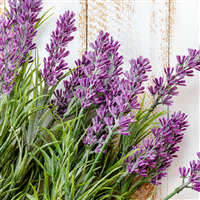 Lavender 40/42 has the plant name of Lavandula Angustifolia . As you can see, these are two different species of lavender plants. Lavandin tends to be a larger plant with larger, more pointed flower spikes and produces more oil than the traditional lavender species. They say the nose is in the beholder but in our experience both smell very similar to the average consumer.